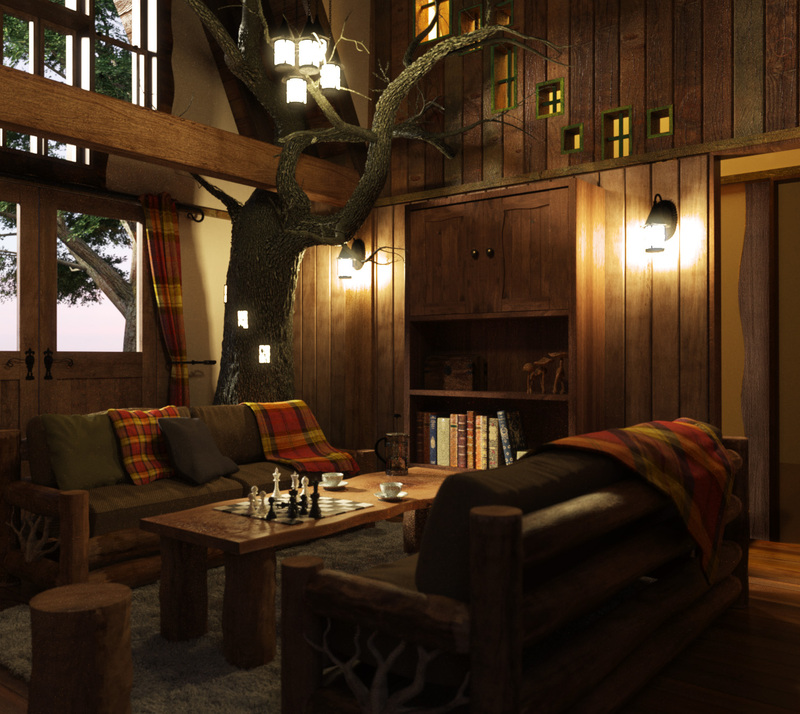 Because we don’t just build treehouses that look great from the outside, Blue Forest has its very own interior designer to ensure every Blue Forest treehouse is a welcoming haven. 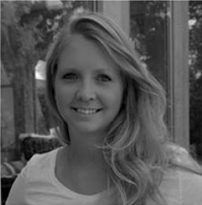 Meet Flo Holden-Parker, Blue Forest’s Treehouse Interior Designer. Q: Designing treehouses sounds like an incredible vocation, but it’s probably not something you start out studying for. How did you get into the industry? I studied Interior Architecture & Design and got my first job in restaurant design. I didn’t think such a vocation existed!!! Q: What is your favourite part of the design process? Coming up with fun and new ideas. There are usually no limits. Not yet. But its way more fun if the brief is that crazy! Flo’s design incorporates a real tree into the treehouse interior. Q: Is there an idea for a tree house that you have been thinking of but have not been able to realise as a live project yet? I would love to design a restaurant or forest foraging café–high in the trees of course! Q: Which particular project or element of a project are you particularly proud of? Designing a ‘real tree’ installation into one of the treehouses. Q: What would your dream treehouse look like? Traditional with amazing views, a fire pit deck and an outdoor bath. 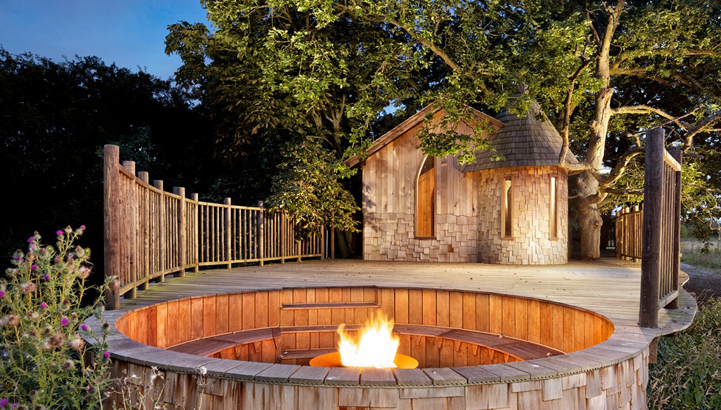 …fire pit deck and outdoor bath. Q: Excluding the ones you’ve worked on, do you have a favourite treehouse? The Invisible TreeHouse. 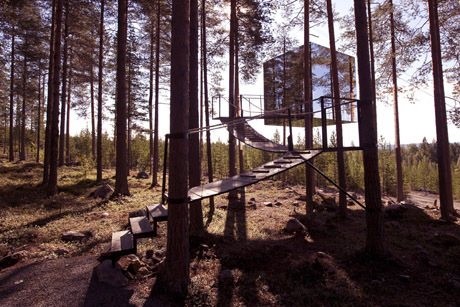 It’s a mirrored cubic treehouse in Sweden. The Mirror Cube is a room at Sweden’s Treehotel. Q: Are treehouses the new yachts? A treehouse is somewhere to go to appreciate your surroundings. A yacht is something that lets you escape your surroundings.